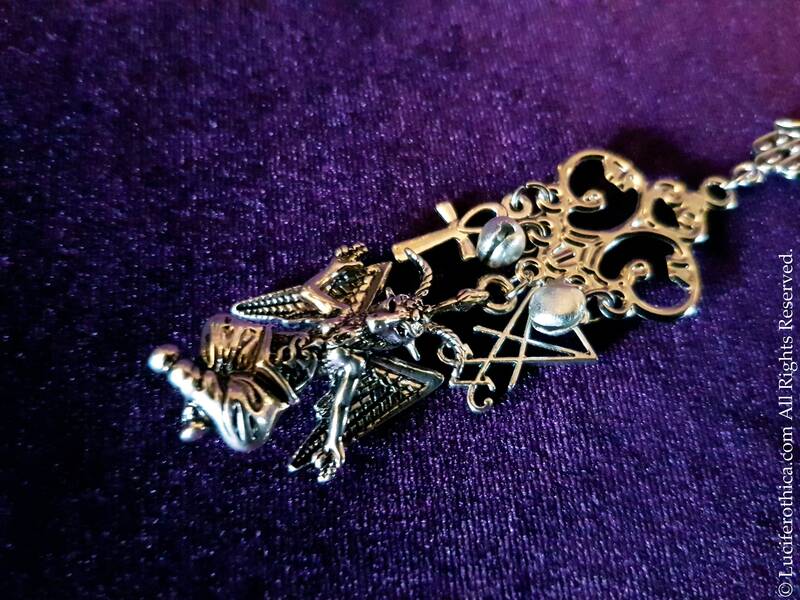 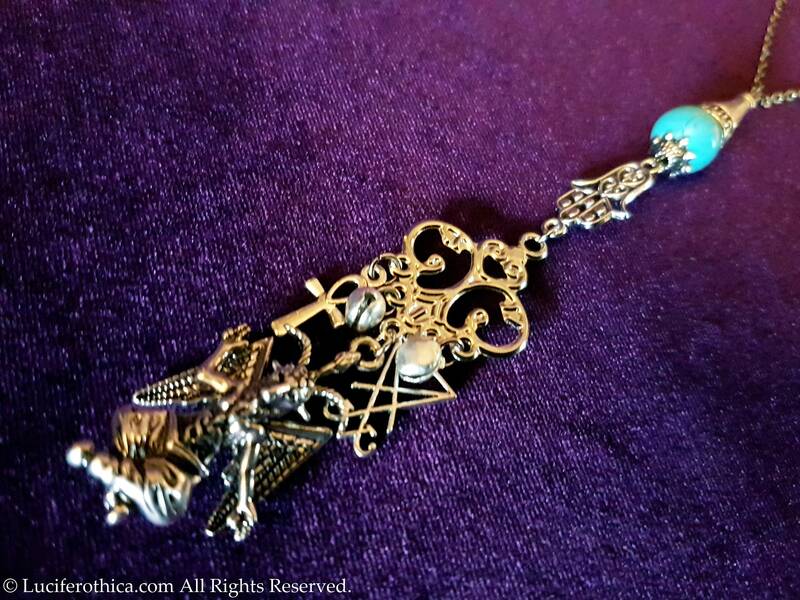 Enlightment Baphomet Rear View Mirror Charm. 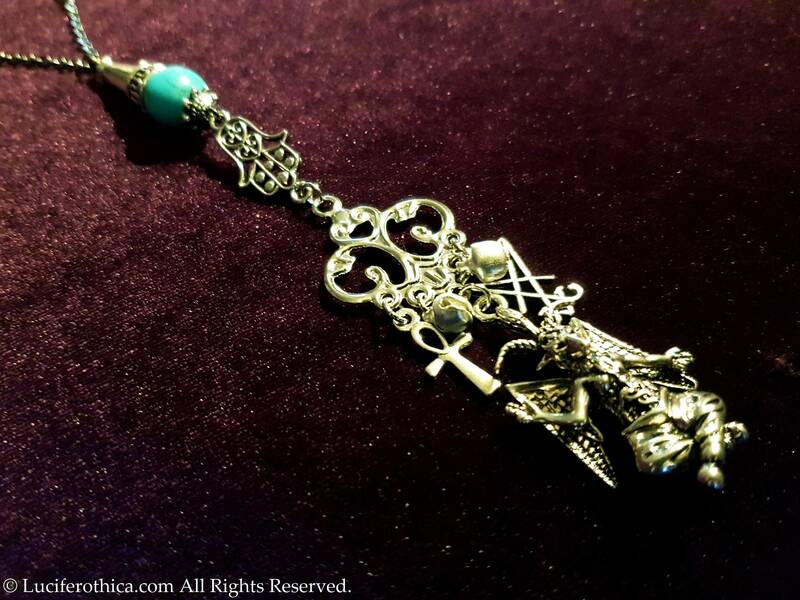 - Ornament with a mini Sigil of Lucifer, a mini Ankh symbol and 2 bells. 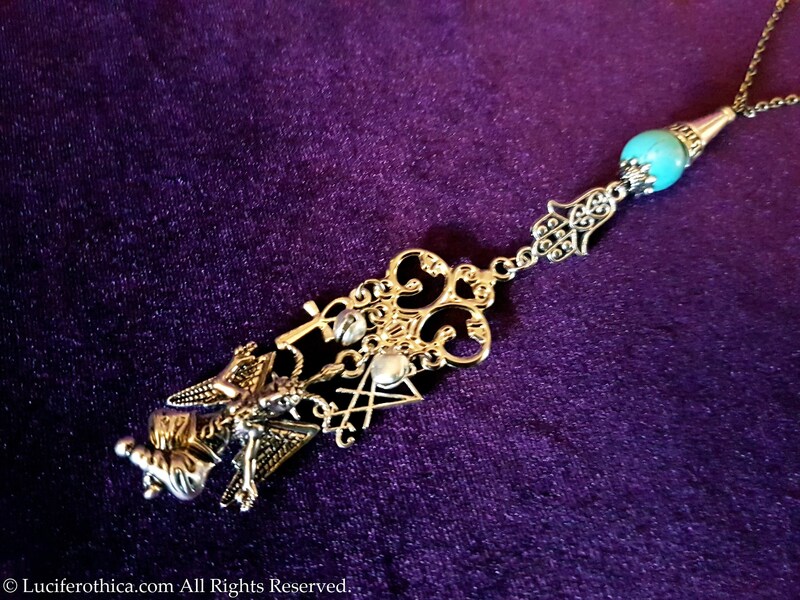 -Turquoise gemstone bead on top of the charm.